I was recently reminded of Simon Weir, whose landscape infrared photos are always worth a look. He's now used Blurb to produce a book. Blub is one of those online book-production facilities and in this case use Indigo printers (of which I am extremely fond and which we use for our own calendars). 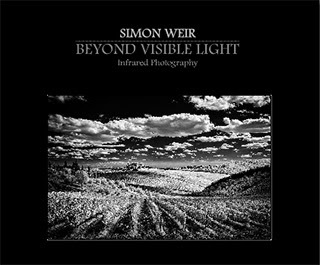 There is an online preview of Simon's book, which is called Beyond Visible Light and I recommend using the full-screen preview to check out the photos. Whether you then buy a copy is up to you.